Does your business efficiently deal with inventory? Asset tracking can be complicated, especially if you don’t have the right tools in place. However, if you’re struggling to develop the right processes, you’re not alone. Around 43% of small business leaders say their companies have trouble reaching sales and profit goals due to poor inventory management practices. Poor inventory management isn’t just stressful. It can result in lost customers and a damaged reputation. Don’t worry, there is a solution. Mobile barcode scanning applications can transform poor inventory management practices and save your business money. Spend less time lamenting lost products and incorrect numbers by turning to an asset management app that uses barcode scanning. Inventory management with barcode scanning serves several purposes. Here are 5 reasons to implement barcode scanning. 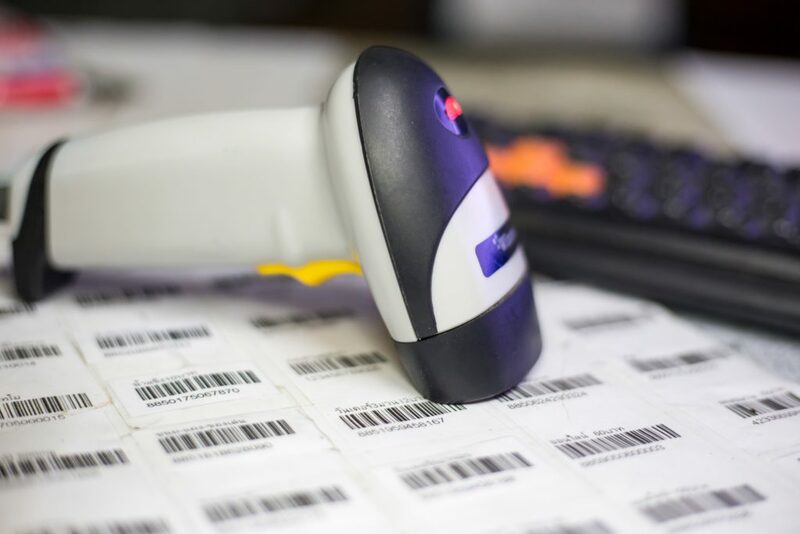 By using the most advanced equipment, your business can churn out hundreds of barcodes at one time. The barcode labels adhere to a wide variety of surfaces, such as bins, shelves, and products. Labels produced by mobile barcode scanning ensure that managers can easily identify items and then produce effective workflows with them. They help you determine when to initiate a sales order, so that your inventory is optimized at all times. Every successful inventory management program includes cycle counts, which involve “taking inventory.” By ditching the pen and paper and making use of a barcode scanner, you’re guaranteed an accurate inventory count that requires less time to complete. Simply scan an item’s barcode, and then use a software solution, such as the TrinityScan barcode inventory tool, to store the entire inventory count. When you need to see your stock count, you can easily access it and develop workflows around to determine when you need to order more product. Inventory management is much easier when you use a barcode scanning system to track products. It allows you to instantly determine a products’ status and submit new orders for products that have fallen under the minimum threshold for proper inventory management. With the numbers at your fingertips and the right workflows in place, you will see great improvements in your productivity. Many companies implement inventory management with barcode scanning to account for items stored in multiple locations. Scan the barcode on a product stored in one location and then check to see how many of the same product are stored in other locations. Instead of ordering more product from manufacturers, you can move around product to minimize inventory costs. When you scan the barcode on a product secured at one location, you are sharing valuable information to all relevant locations as well. After you adopt an inventory management with barcode scanning, you can quickly integrate the system with the company accounting software. These types of process integrations are what set productive companies apart. Any changes made to product counts get sent automatically to the accounting software to ensure prompt and accurate inventory counts. Simply link your accounting software to your new inventory with barcode management system. Now that you understand the process, what are the five benefits of inventory management with barcode scanning? Barcode scanning systems, like TrinityScan, are intuitive and easy to learn. Don’t succumb to the notion that using an Excel spreadsheet is good enough, simply because it’s familiar. Investing the small learning curve required to upgrade your system is well worth it. Using barcode in your inventory management actually makes the whole process easier. Scanning barcode and utilizing the right software will take care of all the inventory management calculations for you. Have you ever had trouble deciphering handwritten inventory counts? Inventory management with barcode software eliminates the handwritten errors that delay vital product shipments. For every 1000 keystrokes made on an Excel spreadsheet, a user makes an average of 10 inputting errors. When you use a RFID scanner, the error count is one of every 10,000 scans. 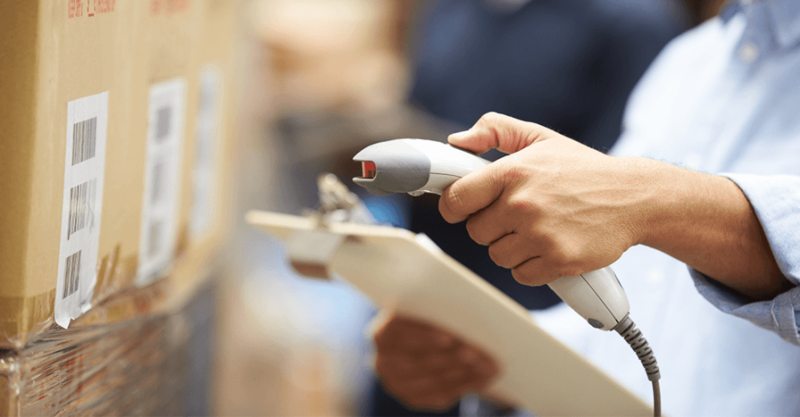 Despite the required financial investment, inventory management with barcode scanning costs less in the long run compared to using an old-school, handwritten inventory management system. By eliminating costly count errors, you will have the accurate data you need to make informed decisions. Handwritten inventory counts take time, and as we all know, time equals money. Thus, busy businesses particularly benefit from the time saved by inventory management with barcode scanning. Professional Cooling & Control Systems operations manager, Tommy Gugliotta, said, “We have cut down the amount of time spent looking for items… Now, it only takes one or two seconds to look up a certain part, versus scouring through pages and pages of spreadsheets.” Increase your productivity with a barcode scanning system. Barcode inventory management software solutions don’t take long to set up. This is great news for busy business operators who don’t have time for delays. Rapid advancements in barcode technology have made it simple to adopt for a variety of businesses. Once your barcode scanning system is in place, your processes will improve, creating a domino effect of saved time and money. Trinity offers businesses a powerful inventory management tool called TrinityScan. It’s features include asset management and the accurate recording and accounting of sales orders. The team at Trinity has expertise in helping clients develop workflows that lead to greater productivity. With TrinityScan, your barcodes work for you way beyond the initial scan. By developing an optimized workflow, you will drive productivity and improved accuracy in all your inventory management projects. If TrinityScan interests you, Trinity also builds an array of other amazing cloud solutions focused on business process improvement, tailored to the unique needs of each client. Flexibility and scalability are integral to these solutions, since Trinity understands that growing businesses evolve over time. For over 21 years, Trinity has worked with clients to improve their efficiency, increase service levels, and upgrade their quality of output.